This is a super book. Concise, informative, fun, very well-edited, and honest (about the value of good map and compass skills, in addition to learning to use the GPS, for instance). I went from 0 - 60 in a few days. Bought the book a few weeks ago at lunch, and I've been geocaching ever since. The book includes great websites links to resources such as waterproof logbooks, and how to get a MapQuest map based on a latitude and longitude. (MapQuest has changed their method since the book was published, but I was able to find it easily, knowing it was possible.) I recommend consulting his equipment and gear list. It does get dark, you will get stabbed by thorns, or sticks, you'll get hungry and thirsty... It sounds obvious, but in the rush of trying to find the nearest cache, it's easy to forget to bring such helpful items as a flashlight, a first aid kit, extra batteries, etc. 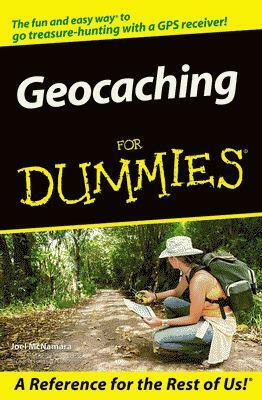 The book also includes a helpful list of U.S. geocaching clubs by state. I look forward to meeting other geocachers! Kudos to the Dummies series (again) and to the author, for a terrific book.